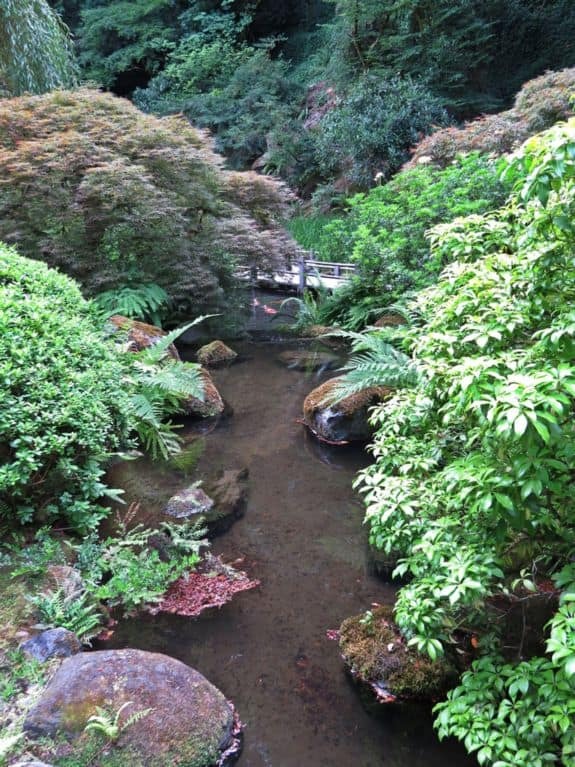 It may seem strange that a middle-sized American city has what is widely acclaimed to be the finest Japanese garden in the United States but also considered to be the most beautiful and authentic in the world outside of Japan. But then much about Portland is strange, not least that it revels in its famous and much-photographed tourist billboard ‘Keep Portland Weird’. The lumber town grew up at the confluence of the Willamette and Columbia rivers and by the early 20th century was notorious as one of the most dangerous port cities in the world, a hub of organised crime and racketeering. Today its thriving diversified economy and 12,000 tech companies led by Intel have earned it the title ‘Silicone Forest’. Renowned for its tolerance and libertarian values, long-standing planning of land-use, over 10,000 acres (4,000 hectares) of public parks, excellent public transport, and impressive eco-credentials, it is for me everything a city could and should be. I first came to Portland 15 years ago and was fascinated by the city, but the main reason for seeing it again had to be to re-visit the Japanese garden. 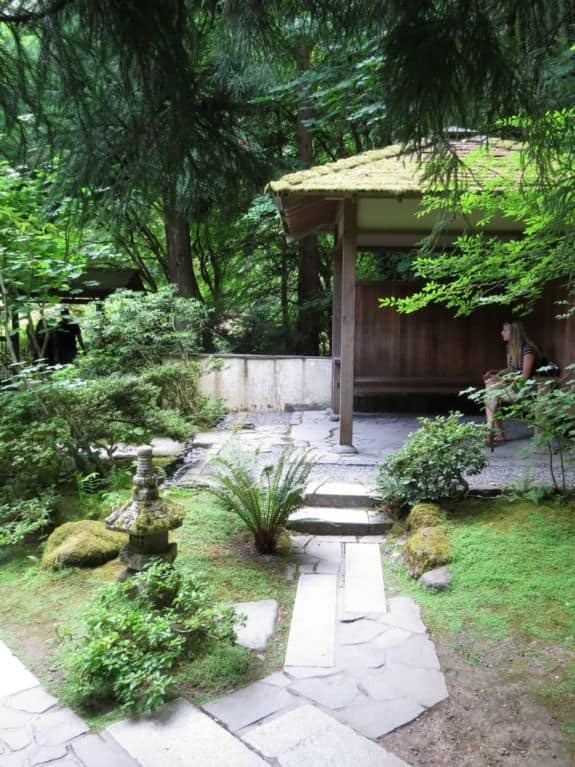 It was in the late 1950s that Portland became a sister city of Sapphoro in Japan, an event that inspired business leaders and public officials to create a garden to celebrate peace, cultural exchange, superb craftsmanship and man’s connection to nature. This objective has been brilliantly achieved. A hillside setting in Washington Park, enclosed by mature pine, spruce and deciduous trees but scarred with the concrete remains of the former zoo was chosen as the site and leased to a private non-profit trust by the city. 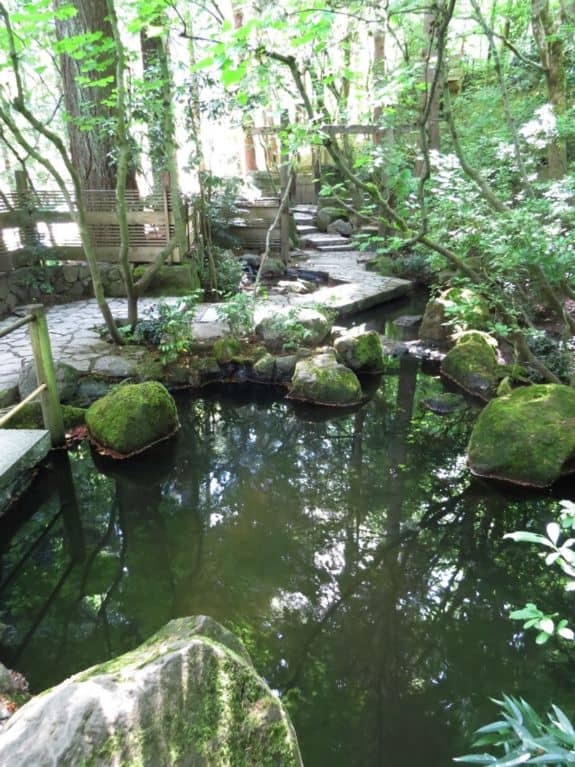 Professor Takuma Tono of Tokyo University was appointed to design the main traditional garden areas influenced by Shinto, Buddhist and Taoist philosophies; any one of which would make it worthy of a visit. 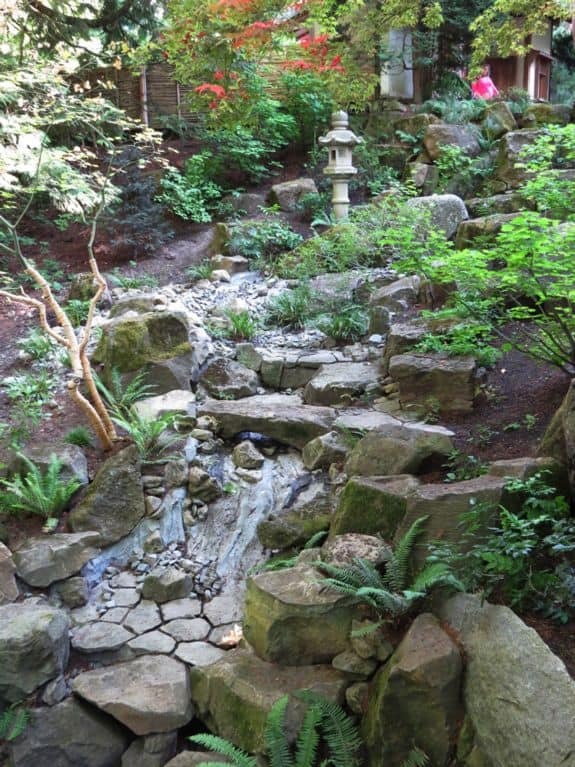 Portland’s climate lends itself to a successful Japanese garden with its cool wet winters and warm dry summers. 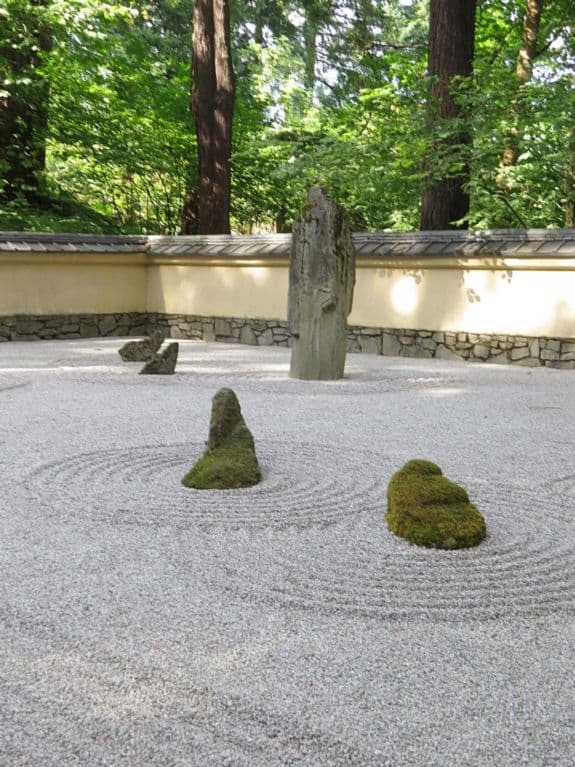 As in all Japanese gardens there are three principle elements; stone forms the ‘bones’ of the landscape, water the life-giving force and plants the ‘tapestry’ of the four seasons. Spring is the season when the azaleas, camellias, rhododendrons and wisteria bloom, followed by the lush green foliage of summer, and the vibrant hues of red and orange from the acers in late October and early November. In winter the focus shifts to the cloud-pruned and domed evergreen foliage and enveloping pines and spruce, and to the rock, gravel and water. Not to be missed are the spectacular views over the city to Mount Hood, a dormant volcano which is snow-capped all year and which strongly resembles Japan’s Mount Fuji. This can be seen from the terrace behind the Pavilion Gallery. The layout of the garden draws the visitor through the Upper Strolling Pond Garden to the Tea Garden and on to the Lower Strolling Pond Garden with its zig-zig timber bridge through an iris bed and impressive waterfall. Everywhere craftsmanship and attention to detail is delightful and superb. From here steep steps and uneven paths lead through the wonderfully contemplative Natural Garden to the Sand and Stone Garden. This is a slightly disappointing version of a Japanese gravel garden and feels over-powered by the canopy of pines. Steep steps return past the traditional Pavilion Gallery with its verandas and shoji translucent screens and Flat Garden to the Cultural Village. In 2017 the Cultural Crossing Expansion was opened providing a new entrance and additional garden areas. 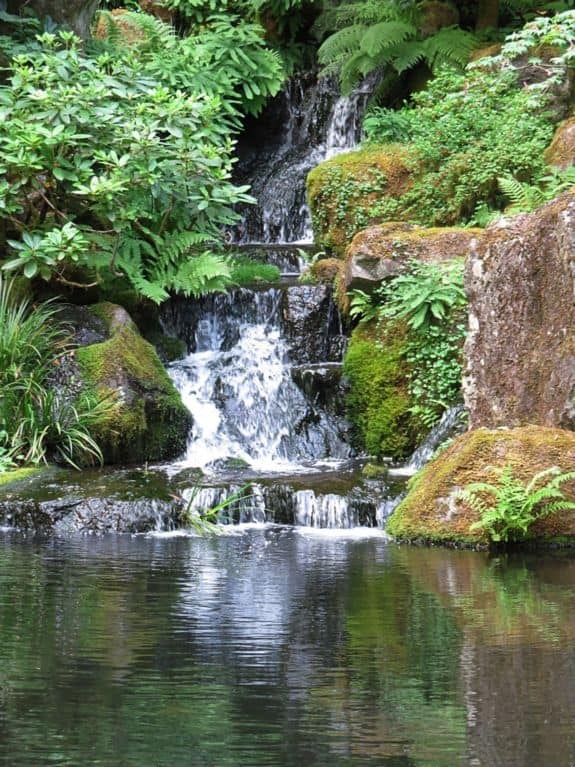 The Entry Garden has a series of modern cascading ponds that lead up through a skilfully designed rocky landscape beneath the canopy of pine and cedars. 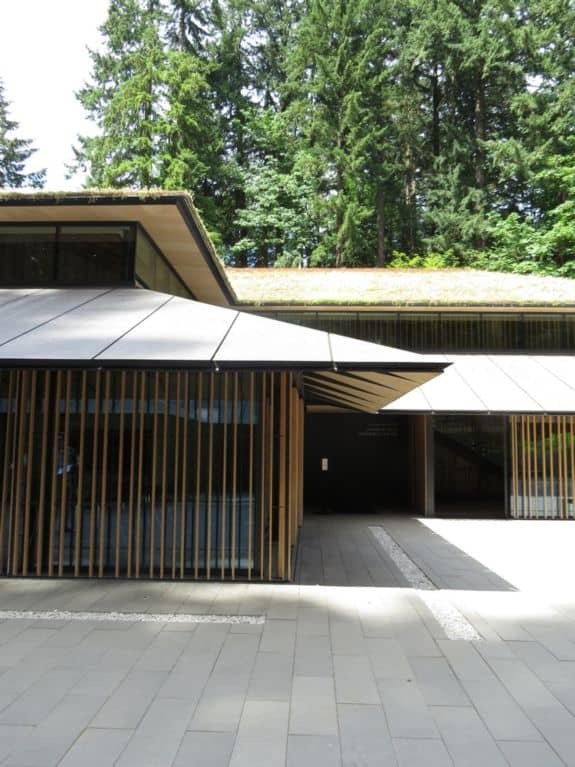 At the top are the superbly stylish buildings of the Cultural Village, designed by internationally-known Japanese architect Kengo Kumato and set around a modern Japanese garden courtyard. 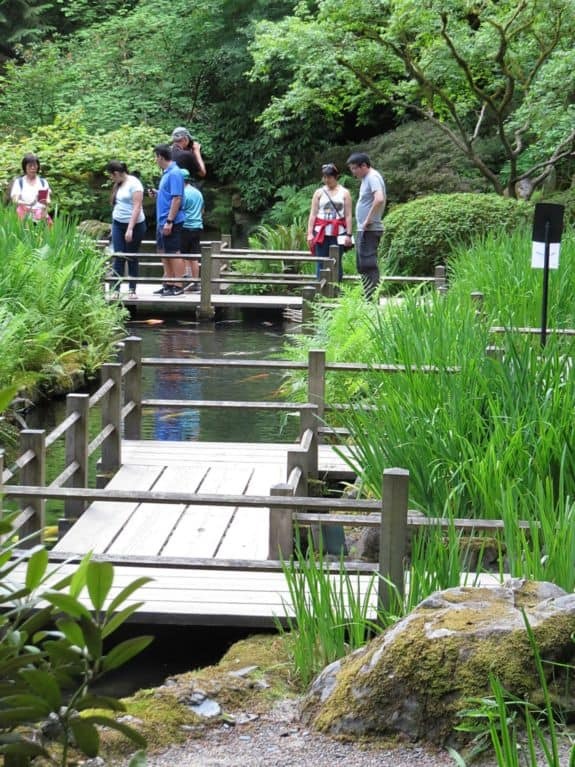 Although there is a shuttle bus from the Entry Garden ticket office to the Cultural Village, the steep slopes, steps and uneven paths of this traditional Japanese landscape garden are not entirely conducive to strollers, wheelchairs and the partially-abled. The website and promotional material should explain more clearly these drawbacks to avoid disappointment. This is a sensationally beautiful traditional Japanese garden where authenticity is not compromised by the pressures of popularity, and fully deserves its world-wide recognition.